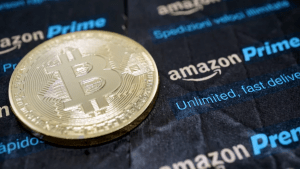 A recent survey of Amazon users by Investing.com finds that just 13% of online shoppers would be comfortable buying Bitcoin and other cryptocurrencies through the e-commerce giant. About the same percentage of people would be comfortable buying prescription drugs and medical marijuana from Jeff Bezos and company. Comparatively, about 73% of people show interest in purchasing an Amazon-branded computer.